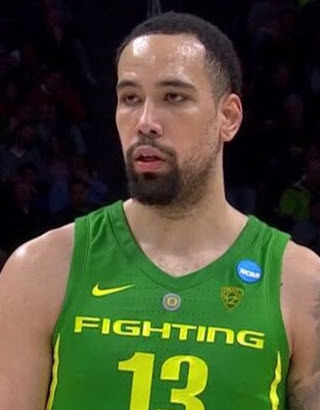 “Offense is more fun, but defense gets the job done” would be a fitting new motto for the Oregon Ducks basketball team. This was a battle of two teams who play stingy defense. If you’re a fan of fast-paced, high-scoring basketball then hopefully you looked away from your television screen during the first half on Friday afternoon. But in the end, it was the Ducks who prevailed 72-54. Ironically, during the Ducks eight-game win streak to finish out the season, 72-54 was the average score of victory. This also continued the Ducks’ streak of holding opponents to less than 62 points a game, which they have done in all but one game since giving up 62 second-half points to UCLA on February 23rd. Paul White’s shooting was a key factor. Payton Pritchard had 19 points and eight assists, Louis King has 17 points and Paul White added 14 for Oregon. Kenny Wooten, who scored nine points, grabbed six rebounds and had four blocks, outplayed Wisconsin All-American Ethan Happ (12 points, eight rebounds and five turnovers). It was just the second time this season Happ failed to have an assist in a game. As Duck fans know, it was their defense that spearheaded their late-season run to the Big Dance. But equal to the task was a Wisconsin team who also played a suffocating style of defense. In a way, it was like watching boxing’s defensive specialist Floyd Mayweather fight an equally talented version of himself. Right out of the gate, the Ducks applied the pressure by playing a three-quarters court press, and continued that pressure throughout. Since the Ducks aren’t a great shooting team, they had to apply the pressure to gain more possessions to rely on volume shooting to score points. This way, they wouldn’t have to rely on high-percentage shooting in order to score enough points. This resulted in a first half that was a slow-as-molasses affair, as both teams combined to score only 50 total points in a 25-25 tie at the break. Both Oregon and Wisconsin were battling, hustling, playing physical and diving for loose balls. This slowed-down style favored the Badgers by limiting the Ducks’ ability to open things up and score in spurts, as Wisconsin is content on playing a patient offense and taking what the defense gives them. In the second half, things began to open up for the Ducks, as they continued to hold on to single-digit leads, which finally extended to a dozen with less than five minutes remaining in the game. 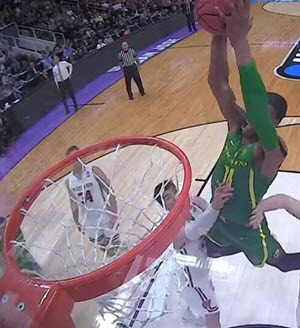 At this point, Wisconsin switched to a trapping full-court press, which ended up backfiring as the Ducks were able to break the press and score easy baskets. Meanwhile, the Badgers continued to force up long-range jumpers. Oregon was very effective in taking Ethan Happ out of the game by doubling him and forcing him to defer to his teammates. The Badgers were only 5-for-29 from beyond the three-point line. On Sunday, the Ducks play the high-riding UC Irvine Anteaters (No. 13 seed), who beat Kansas State (No. 4) to advance to the round of 32. The Anteaters are riding a 17-game winning streak. 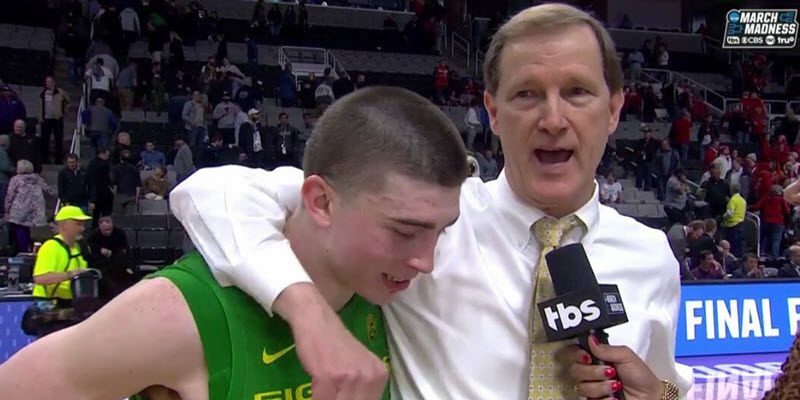 What are your thoughts on the Ducks as they go for the Sweet 16?